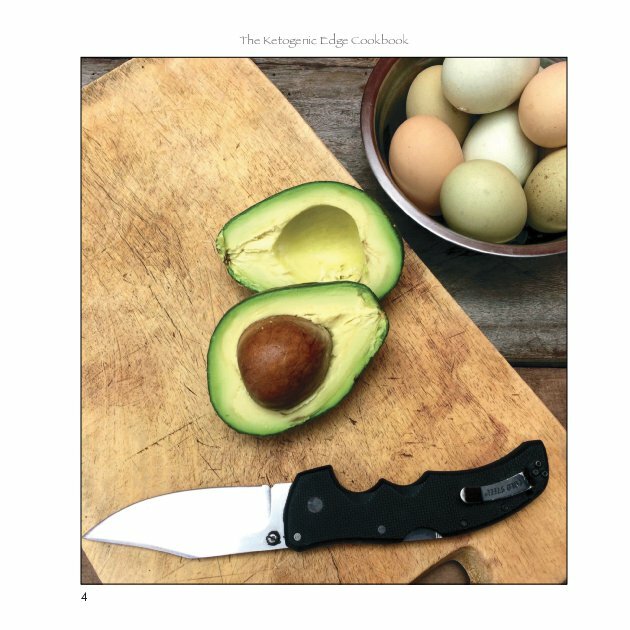 The Ketogenic Edge Cookbook trains you in the mastery of ketogenic kitchen alchemy with simply designed, family friendly recipes built around nutrient-dense, unrefined whole foods. 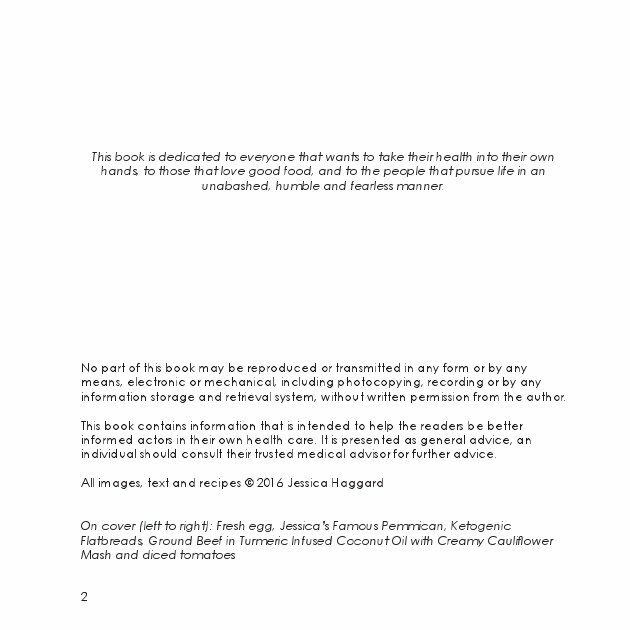 Varied and versatile, this training manual helps build a practical foundation of habits, strategy and meal design. Special attention is given to detailing alternative ingredient options and flavor variations to empower your kitchen creativity. 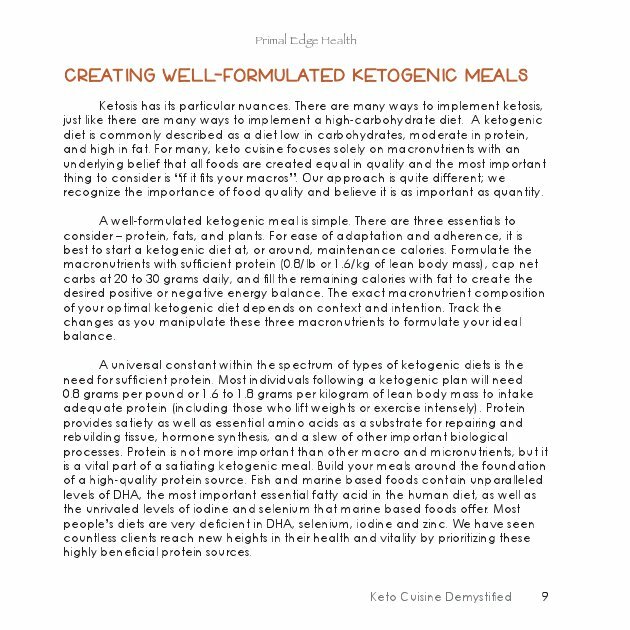 This guide will help you reveal your own innate intuitive ability and emerge as an accomplished, confident virtuoso of preparing keto friendly foods. 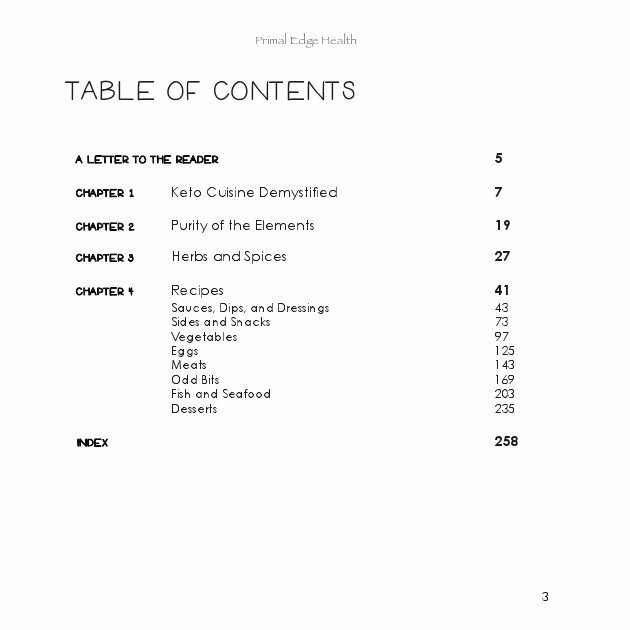 This is more than just a simple recipe book. 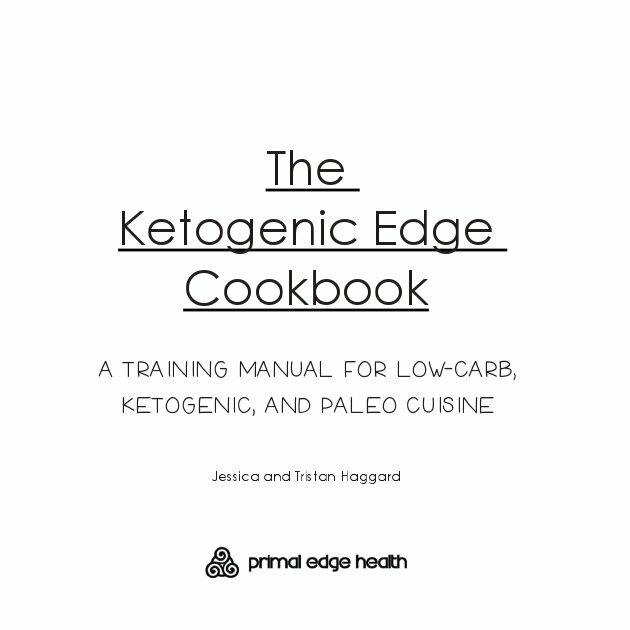 We intended this collection of information, resources, and recipes to be a training manual for ketogenic, low-carb, and paleo cuisine. Follow the advice in here are you will boost your kitchen confidence! 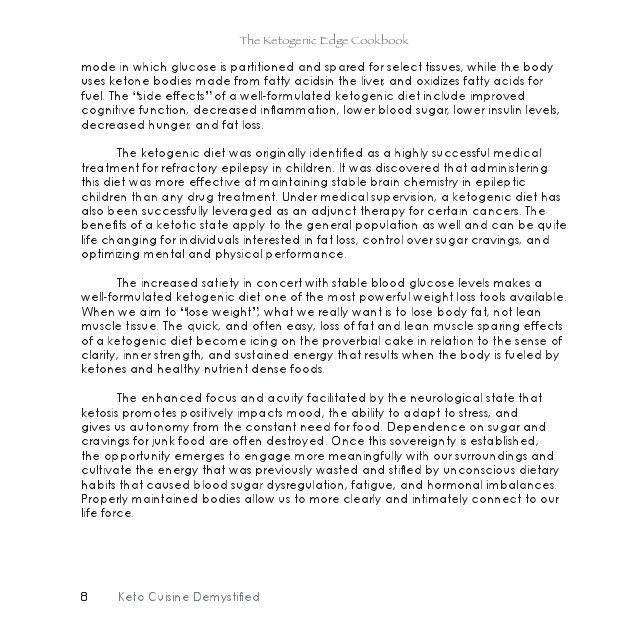 This book is for those who wish to prepare nutrient dense low-carb meals, keto adapt on a well-formulated ketogenic diet, and maximize vitality and health. 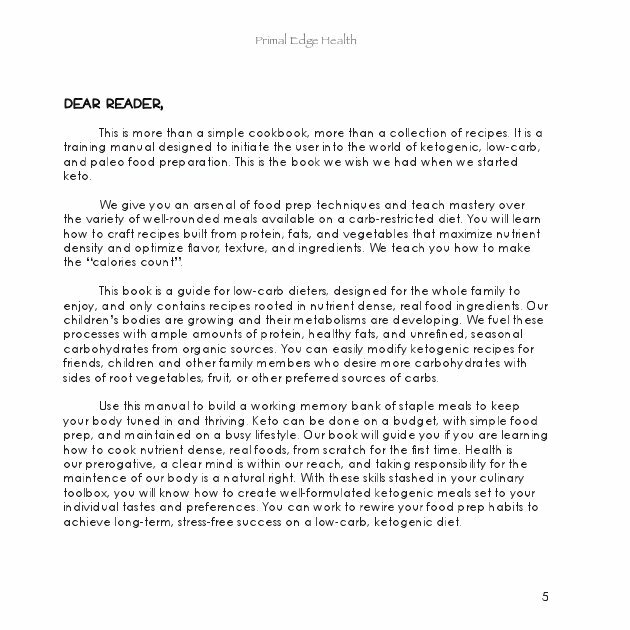 We offer a number of variations to many recipes, illustrating how to expand and modify recipes and squeeze the most longevity out of a singe idea. 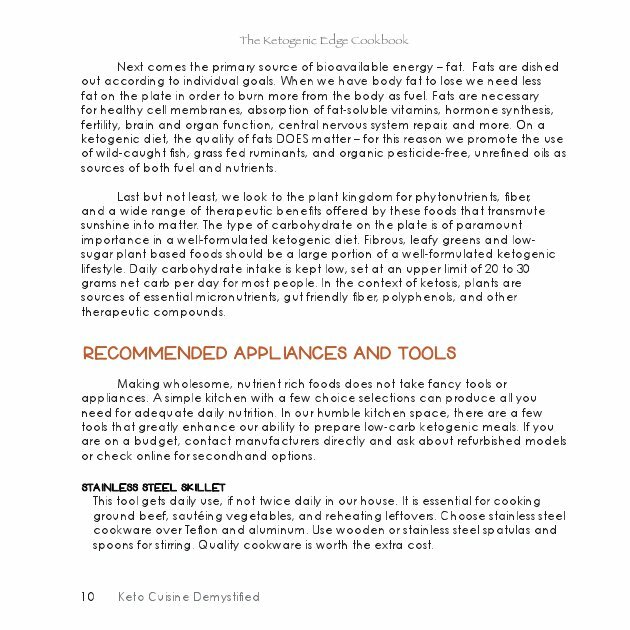 All recipes use whole unrefined healthy foods and are low-carb, grain-free, gluten-free and paleo friendly. You will find slow-cooked, crockpot options, fermented foods, nose-to-tail recipes, quick and easy breakfasts, lunches, elegant dinners and more! 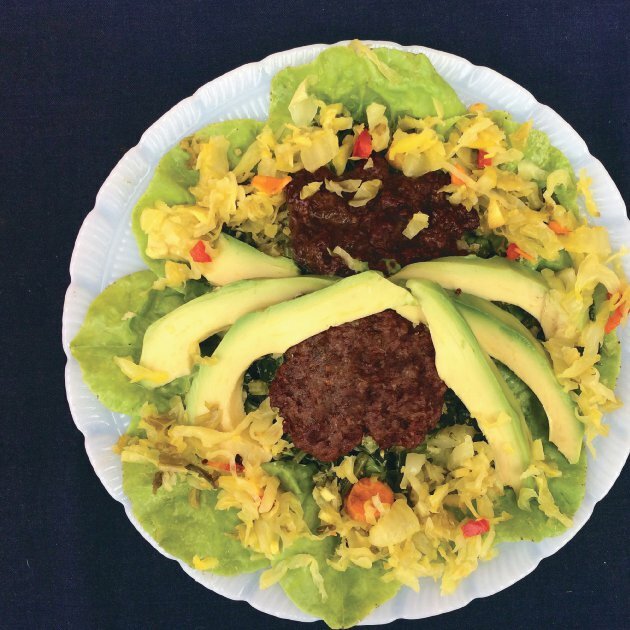 These recipes will inspire healthy cooking no matter your skill level. For beginners, there is plenty of discussion on food prep strategies and a complete resource section to help you source the highest quality food possible. Intermediate and advanced culinary artists will find a variety of recipes requiring advanced preparation techniques and gourmet ingredients. Of course, a recipe can be gourmet without much sweat in the kitchen! Most of the recipes are the “quick and easy” type that maximize nutrient density and minimize time spent on food prep. 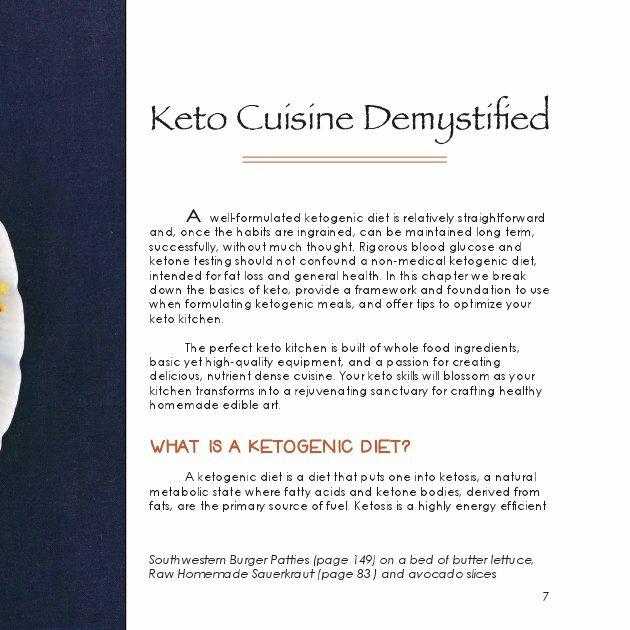 Each recipe contains serving size, prep and cook time, as well as the individual macronutrient profile per serving.